Pioneers in the industry, we offer fully automatic paving block making machine, multi-function paving block making machine, paving block making machine, semi-automatic paving block making machine, chirag powerful technology paving block making machine and chirag superior technology hydraulic paver block making machine from India. Fully Automatic Paving Block Making Machine Compact design and semi-automatic control, with easy operation. Low investment brings you cost saving. Fully Automatic Paving Block Making Machine Our machines, with harmonic cooperation between mechanical, electrical and hydraulic machines functions, guarantees a reliable and high production output of concrete products. Multi-Function Paving Block Making Machine Compact design and semi-automatic control, with easy operation. Low investment brings you cost saving. Multi-Function Paving Block Making Machine Our machines, with harmonic cooperation between mechanical, electrical and hydraulic machines functions, guarantees a reliable and high production output of concrete products. Paving Block Making Machine Compact design and semi-automatic control, with easy operation. Low investment brings you cost saving. Paving Block Making Machine Our machines, with harmonic cooperation between mechanical, electrical and hydraulic machines functions, guarantees a reliable and high production output of concrete products. Semi-Automatic Paving Block Making Machine Compact design and semi-automatic control, with easy operation. Low investment brings you cost saving. Semi-Automatic Paving Block Making Machine Our machines, with harmonic cooperation between mechanical, electrical and hydraulic machines functions, guarantees a reliable and high production output of concrete products. Chirag Powerful Technology Paving Block Making Machine Compact design and semi-automatic control, with easy operation. Low investment brings you cost saving. Chirag Powerful Technology Paving Block Making Machine Our machines, with harmonic cooperation between mechanical, electrical and hydraulic machines functions, guarantees a reliable and high production output of concrete products. Chirag Superior Technology Hydraulic Paver Block Making Machine that we manufacture and offer to our clients are designed & developed in compliance with the industry standards. These are offered to clients in different models to meet their exact demands. Chirag Superior Technology Hydraulic Paver Block Making Machine Our quality controllers stringently check these on well defined parameters before these are delivered to the clients. We also offer excellent after sales services on these Automatic Color Paver Block Machines to assure hassle free operation at client’s end. Our esteemed clients can avail an exclusive range of Chirag Simple And Easy Handling Concrete Paver Block Machine , which is designed and developed by using ultra-modern technology. Our range is designed with precision and provides long service life. These are used for paving blocks in footpath, car parking and other places. 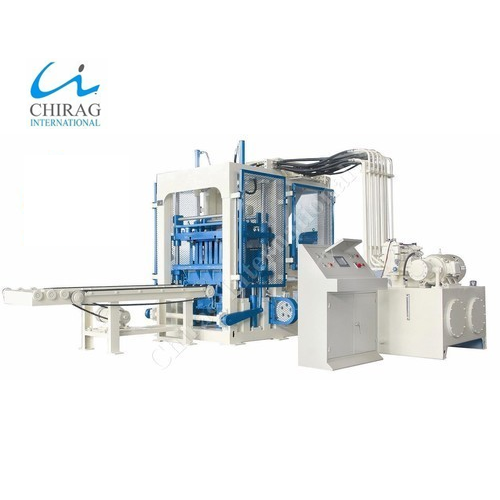 Chirag Simple And Easy Handling Concrete Paver Block Machine We provide these paver machines with a broad spectrum of paver machines for brick & block making. We offer our range at cost efficient prices. 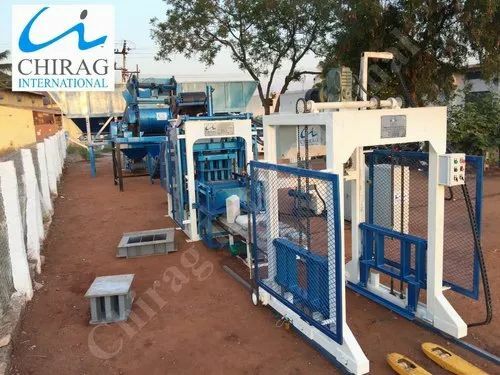 Chirag High Quality High Pressure Paver Block Machine Target User: requires high production output of concrete blocks, in different types, sizes, shapes and colours. Chirag High Quality High Pressure Paver Block Machine Raw Materials: crushed stone, sand, cement, lime, flyash, cinder, slag, gangue, gravel, perlite, and other industrial wastes. 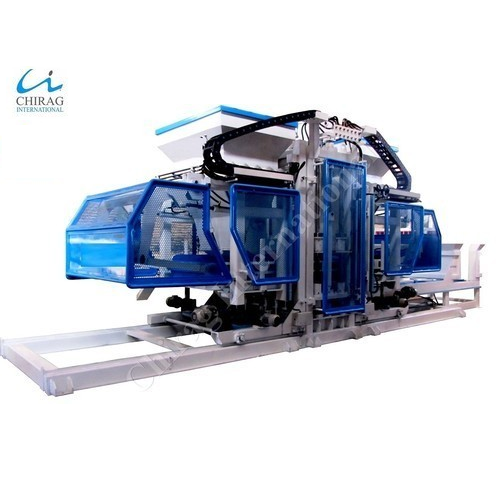 Chirag High Performance Hydraulic Block Machine Electrical system consists of Delta PLC control system and Delta Touch Screen, with data input and output; control system has safety logic control and trouble-shooting functions. 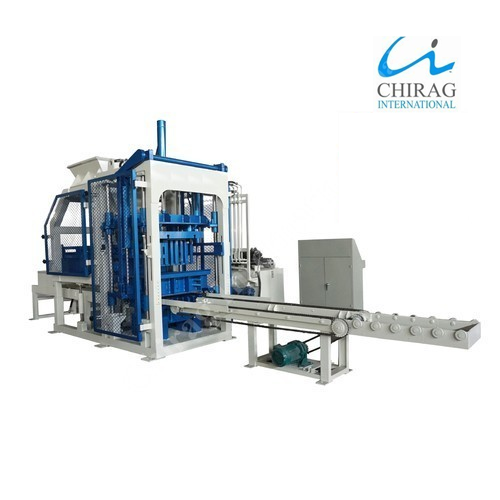 Chirag High Performance Hydraulic Block Machine Highly productive moulding device, which consists 360 rotating and compulsory feeding of raw materials, platform vibrating and compression shaping, greatly improves the cycle time. The finished blocks are of good shape and high quality. We offer an exclusive range of Chirag Powerful Performance Vibration Block Making Machine to our clients, that are especially designed using best grade raw materials and advanced technology. These are equipped with all the necessary accessories making them easy to operate. 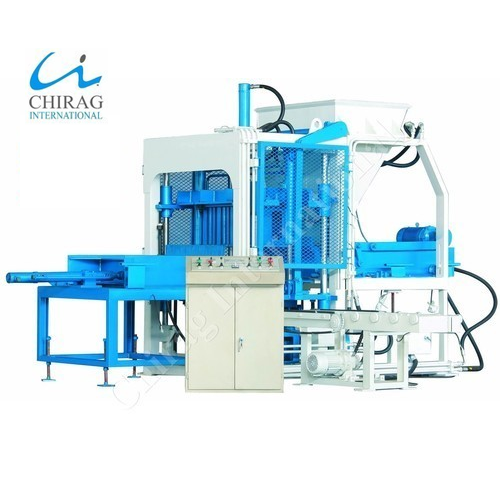 Chirag Powerful Performance Vibration Block Making Machine These are highly demanded for its features like higher efficiency, durable finish standards, and reliable service life. We offer our range at cost efficient prices.